When the season changes, so does my workout routine and diet. (By diet I mean what I eat, not a regiment.) I change from gym mode to enjoy-the-great-outdoors mode. My cravings shift from warm, earthy flavors to light, springy salads. And the transition began with this salad, adapted from a recipe I pinned from SugarandGrace.com. It turned out delicious and pretty — double win! 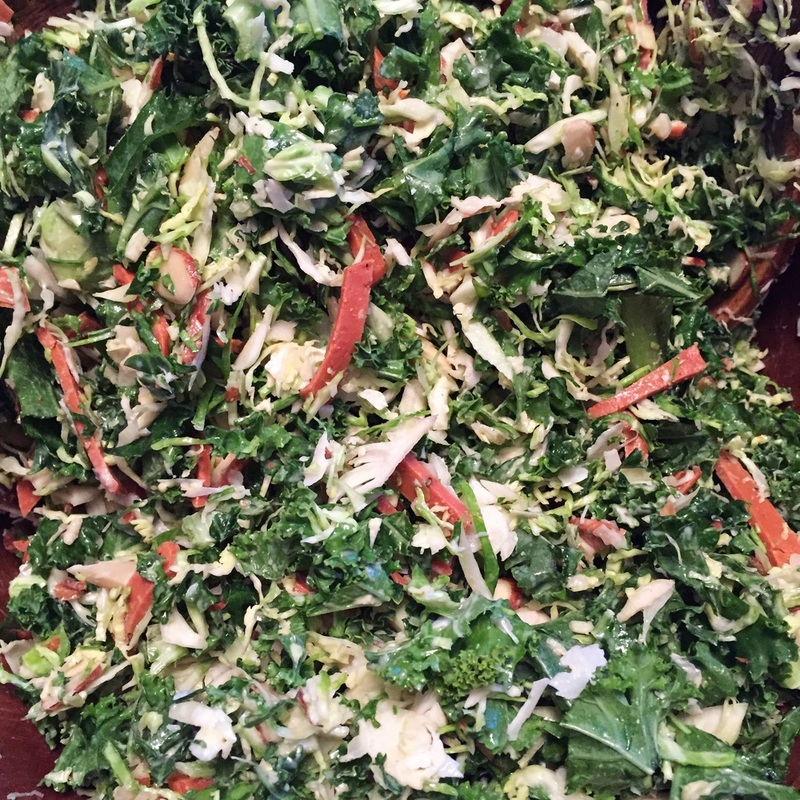 And it tastes a lot like a kale and brussels sprouts salad they occasionally have (and I devour) at the Whole Foods salad bar. 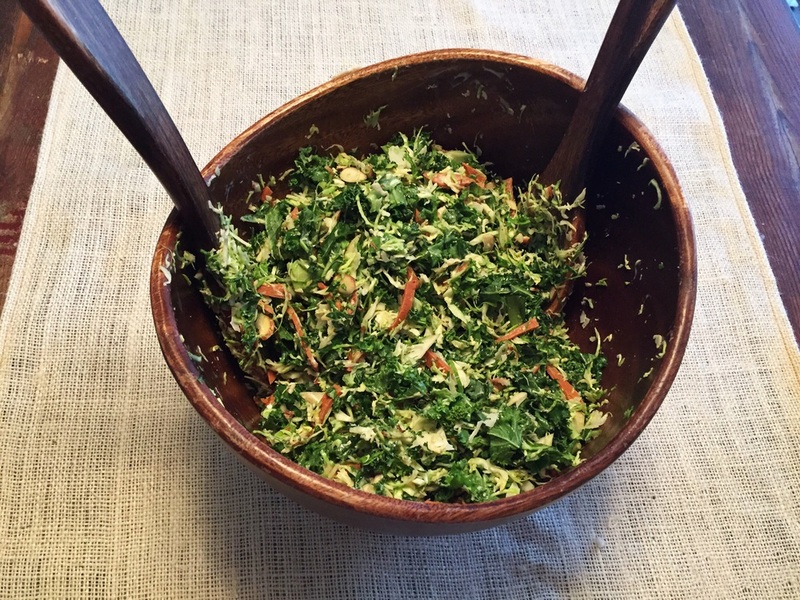 Chop the kale and brussels sprouts and combine in a large bowl. 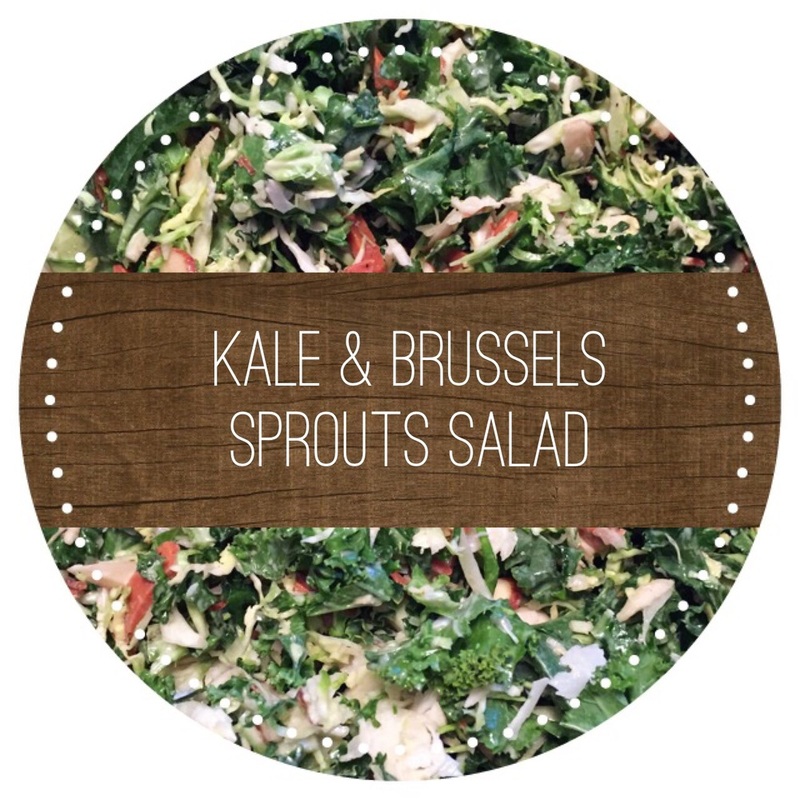 Combine "pepperonis", almonds and cheese with the kale/brussels sprouts mixture. Put all ingredients in your blender until smooth. BOOM. That was easy, right? Pour the dressing over the salad mixture and toss to combine. Devour.